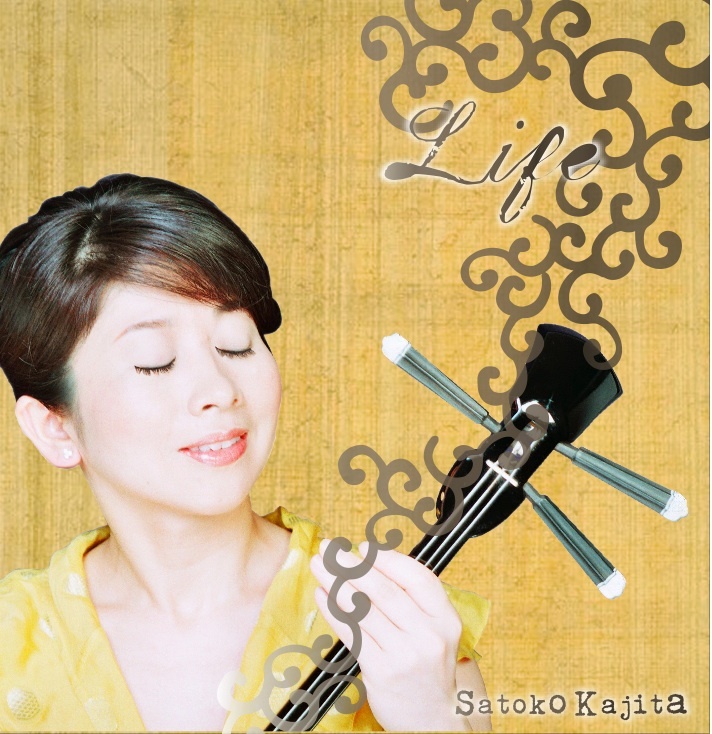 Satoko Kajita's first CD "Life"
Satoko's first CD lets you calm and comfortable with the tastes of the simplicity and nostalgia. With her sanshin (three-stringed guitar from Okinawa, Japan) and voice, you will remember something that has been sleeping in the bottom of your heart. The CD includes the songs from Okinawa, Japan, the American traditional songs and her original songs. The CD is introduced in the digital JAZZIZ MAGAZINE (page 37, on the top of the left side). The CD and her biography are introduced in New York Event Journal, YOMITIME Vol.120, and SHUKAN NEW YORK SEIKATSU PRESS (Weekly New York Life Press) Vol.270. CDbaby.com , Amazon.com, iTunes.com and more. (Tompkins Square Park (7th to 10th Sts. Bet. A & B Ave.), New York, NY. ): With Open Music Ensemble. Improvisation with Open Music Ensemble. Please go to www.newlifexpo.com. Improvisation with Open Music Ensemble. Please go to http://www.facebook.com/pages/New-York-NY/PGs-Bar-and-Grill/15834107345. Improvisation with Open Music Ensemble. Please see www.newlifexpo.com. Outdoor performance with Open Music Ensemble. Please go to www.cenyc.org/openspace/gardens/man/parque. Improvisation with Open Music Ensemble. Please go to www.5ccc.com. Improvisation with Open Music Ensemble in the Sutton Room. Please see www.newlifexpo.com. Satoko currently joins OPEN MUSIC ENSEMBLE. Please go to http://www.myspace.com/openmusicensemble. She also collaborates with Frank Biyong & Massak (Fusion of Japanese and Afro music). Please check http://www.myspace.com/satokokajita and http://www.myspace.com/franckbiyongandmassak. Please send message by the contact form. Copyright 2009 Satoko Kajita Alexander Technique & Music. All rights reserved.